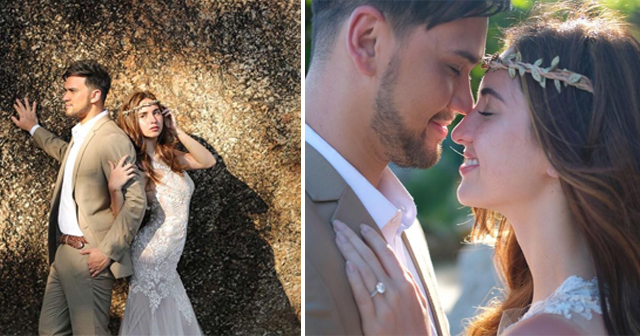 Billy Crawford and Coleen Garcia are ready for their upcoming wedding day. They went to a lovely place in Thailand to take their prenup there. Their prenup location is held in Koh Samui second largest island in Thailand. In the pictures shared by an Instagram User named 'niceprintphot', the couple looks good and in love together and very excited about their upcoming wedding day. They both perfectly matched for each other as seen in the pictures, and Coleen was so gorgeous in front of the camera wearing her Francis Libiran gown matching with the grooms cream suit. The most awaited wedding of this beautiful couple will be happening this summer. Here are some of their beautiful photos taken on the beautiful island of Koh Samui. Billy and Coleen love story started in the noontime tv show "It's Showtime". That time Billy was already a member of showtime family while Coleen is a new added to the roster of the show. They worked together in the noontime program for almost three years. What are your thoughts on this amazing and perfectly matched couple? Share with us.